100 DOLLARS REWARD. 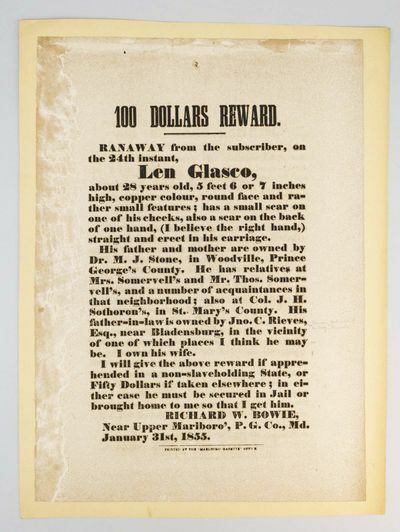 RANAWAY FROM THE SUBSCRIBER, ON THE 24TH INSTANT, LEN GLASCO . .
by (SLAVERY - RUNAWAY SLAVE BROADSIDE). BOWIE, RICHARD W.